How did it ever come to this?! In a nation that suffered the greatest Nuclear Holocaust in modern history. How did the world community ever allow 55 nuclear reactors to be built in the most seismically active region of the planet?! Why? No other industry more poignantly represents what can go horribly wrong — for the entire planet — like the Nuclear Power Industry. The industry paradigm is so fatally flawed, and has such profound and fundamental safety vulnerabilities, that it should never have proceeded in the first place. That the world community has yet to come together to address this nuclear catastrophe, which will most assuredly affect every square inch of the planet, is even more inconceivable. Just like the BP Gulf Oil Spill, the moment has been seized by those who would rather take advantage of this ‘distraction’ instead of using the opportunity to systematically shut down the entire industry. The preceding statement illustrates where the scientific community is in its very tenuous relationship to advanced technology. Especially in this age of rampant and uncontrollable technospheric breakdown are the inherent weaknesses of so many scientific, technological and industrial paradigms being revealed. When one considers the awesome degree of wear and tear, as well as the tremendous amount of maintenance and repair absolutely requiried to keep a nuclear power plant running problem-free and up to an acceptable standard of safety, the notion becomes quite staggering. Particularly in view of the terrible costs to life and the environment for not doing so. The real bugaboo in this worldwide evolving scenario is that technosheric breakdown is not well understood at all, and not even acknowledged in many quarters where it ought to be. This highly unfortunate state of affairs has set the planet up for a a domino effect which can be catalyzed at any moment by just one major earth change in the wrong place, at the wrong time, with the wrong technology. 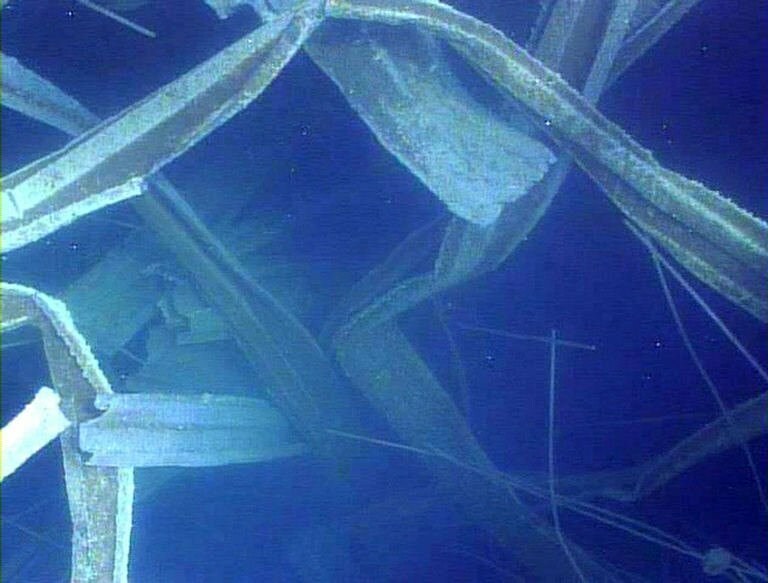 We quote again from an article that was posted a few days after the earthquake and tsunami of March 11, 2011 that triggered the nuclear disasters on the Honshu coastline. 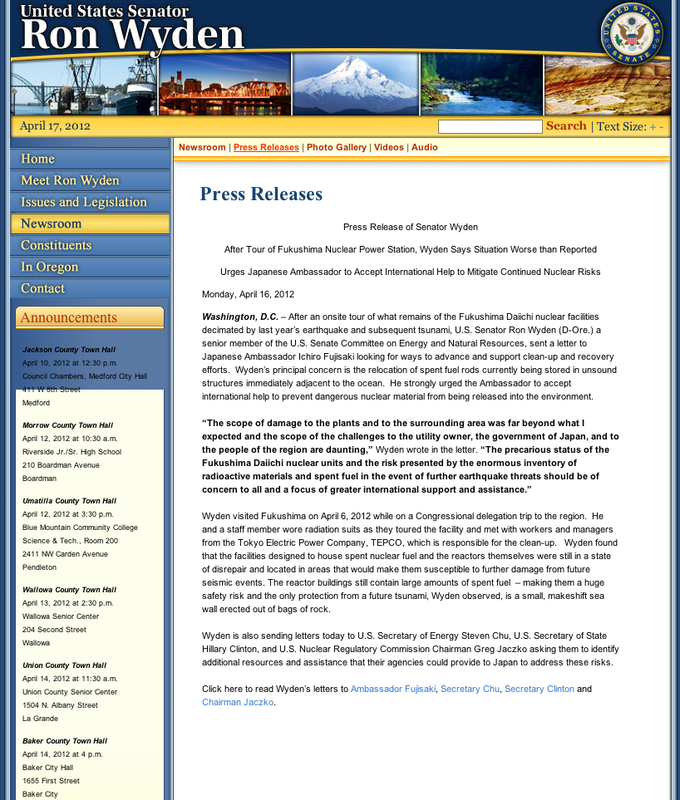 What follows is a very sobering Press Release from US Senator Ron Wyden of Oregon after he took a tour of Fukushima Nuclear Power Station. Click on the release to enlarge. Quite aptly, this same piece ends with the following questions?